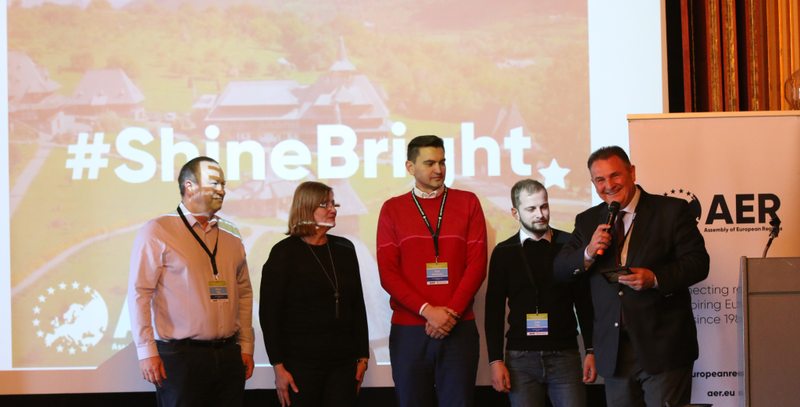 At the AER Spring Committee Plenaries in Örebro, the region of Maramures (RO) was recognised for their involvement in AER activities and for hosting the 2018 Summer Academy. The Summer Academy is a week-long event where regions exchange their experiences in the area of regional development. The theme of last year’s Summer Academy was “Cultural Heritage for Regional Attractiveness”. Cultural heritage is a central part of every society and gives a region its own distinctive flair and identity. Cultural heritage can include traditions passed from generation to generation and landmarks which holds historical significance to its people. How to take this cultural heritage and shape it into a way to make it attractive for people to live, work and visit was explored. Maramures is a region typified by its picturesque countryside, small villages, rolling hills, pastures and meadows full of wildflowers. Culture and traditions have been carefully preserved and as such the theme was very relevant to their region. We are very happy that we can honour and recognise Maramures for their contribution to AER and the Summer Academy.